There’s nothing more important than family! You’ve all have heard that, haven’t you? Yeah. We think there’s nothing cooler than family. Parties, fun, crazy things and passing people are useless when it comes to family. So if you think so, you can grab our new set of matching t-shirts. One for the King of the house, one for the Queen (her Majesty) and one for the little baby Prince! King Queen Prince family t-shirts with custom number are just glorious. With the optional number on the back and our distinguished design pattern these babies are a must have by all means! All t-shirts in the set are with optional number, size and color. ✔ The adult t-shirts are available in 3 colors - white, grey and black. The composition is 95% cotton and 5% elastane. They are extremely soft and comfortable. ✔ The bodysuit is 100% cotton - it is very delicate. ✔ The QUEEN t-shirt inlcudes beautiful flower design on the numbers - you will become obsessed with it! Are you wondering whether to make the final desicision and hit the "BUY" button? If you have any doubts, we highly recommend you to check our Instagram feed here >>> instagram.com/sugararmyshop We post cute pictures of our designs as well as pictures of our customers happily wearing them! We are absolutely sure you will love them too! Our team strives to provide the best customer service so if you have any questions - do not hesitate to contact us! Confused on choosing the right size? No problems! 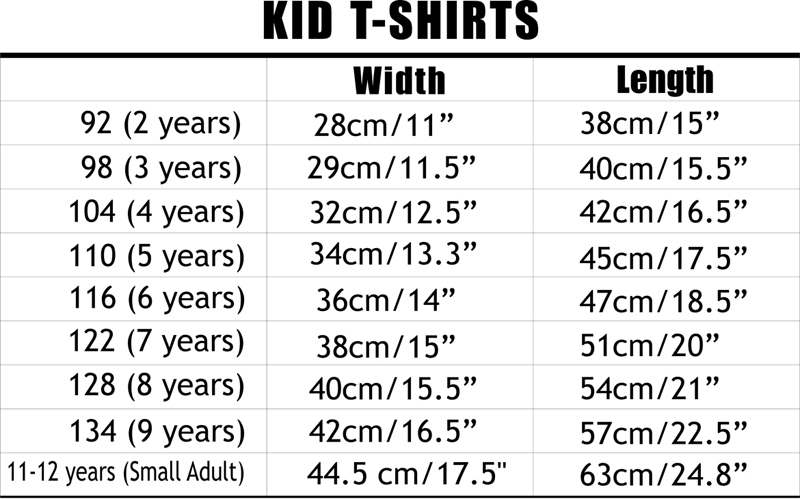 Have a look at our SIZE CHART. 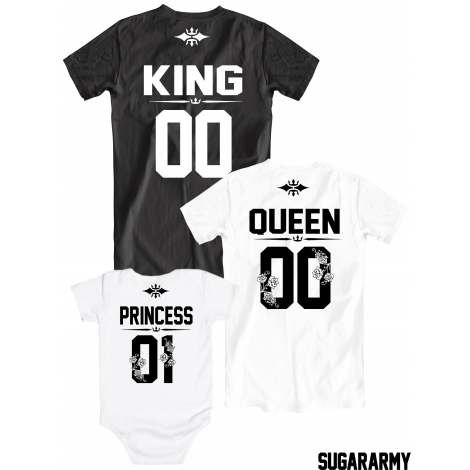 Our KING, QUEEN and PRINCE shirts are amazing for family photoshoots or family gatherings; So if you are planning a photoshoot these t-shirts make the perfect choice!